As our horses grow a thicker and longer coat over winter to keep themselves insulated it becomes an ideal breeding ground for lice, especially when we then cover this in a warm rug. The life cycle of the louse is complete within 4 weeks and eggs hatch 10 days after being laid. Eggs or nits are small (1mm), yellowy-white in colour and glued tightly to the base of hairs. All horses can become infected with lice and those kept in large groups indoors, the elderly and young and those with immunosupressive conditions such as malnourishment and PPID (Cushings) are at an increased risk. 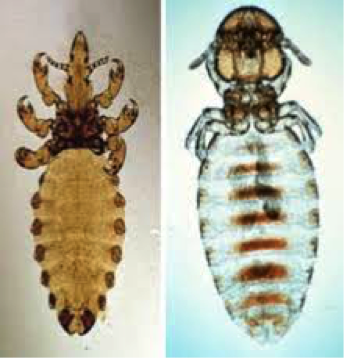 There are two types of lice affecting horses, a biting louse called Damalinia equi and a sucking louse called Haematopinus Asini. Biting lice feed on skin scales and are found where the coat is finer (neck & body) whereas sucking lice feed on blood and are found where the hairs are longer in the mane and tail. The feeding nature of the lice causes skin irritation with horses becoming extremely itchy. This can lead to patchy hair loss and a scurfy coat. In severe infestations the horse or pony can become anaemic. 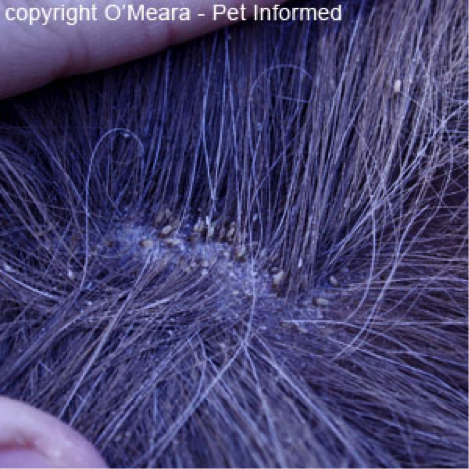 Diagnosis is based on evidence and appearance of lice or their eggs. Removal of the winter coat will help ensure treatment reaches the skin and has the best effect. Lice powders are available over the counter however anecdotally they don't seem to work. Treatment needs to involve a permethrin or cypermethrin product applied every two weeks for a few treatments to ensure all life stages of the lice are killed. In addition if there is an underlying cause this needs to be identified and treated to prevent reoccurrence. The lice affecting horses can't affect humans however sharing rugs/ numnahs/ grooming kits can spread it horse to horse. If you have any questions regarding lice on your horse, please contact us.